Should We Argue with Appliances? It’s normal to have bickering in households. Spouses and kids, in any combination, can squabble over just about anything. But you know what never gets into an argument in my home? My toaster and my microwave. Also, my washing machine and vacuum get along great. Never a harsh word between them. That may be changing. Possible appliance strife is a real concern to many consumers. At least when it comes to virtual assistants. Tools like Siri, Alexa and Cortana are, after all, appliances. Ericsson’s Consumer & Industry Lab conducted a recent survey of what they call “advanced internet users”. From it, they generated a list of 2019’s top 10 trends. Number two: smart quarrels. In the survey, 47% of virtual assistant users said that different devices may well give them different answers to even the most basic of questions. Two-thirds of those surveyed believe that, within a few years, the virtual assistants in their household will start sniping with each other just like family members. That’s one reason why 41% of people Ericsson surveyed think it will be important for couples to have compatible virtual assistants. Thinking of Siri and Alexa as if they have human characteristics – whether the ability to argue or the need to get along – isn’t really surprising. After all, we give these tools human names, we talk to them, and they talk back. As an article in Quartz notes, anthropomorphism (ascribing flesh-and-blood traits to inanimate objects) is hardly new. They cite Homer’s epics about people who named their swords and ships. Today, people still give human names to their boats, and often to their cars, guitars, bikes, laptops, even furniture. Quartz says there are three primal reasons to anthropomorphize an object: 1) it looks like it has a face; 2) we can’t explain its unpredictable behaviour; and 3) we’d like to be friends with it. Are virtual assistants our pals? While they do keep us company, some critics worry that they might get in the middle of relationships. What happens if we enjoy talking to them more than to the people who share our homes? Or when your Siri disagrees with my Alexa? Or when a virtual assistant and spouse have different takes? Whose side are you on? Also, who do you confide in and trust the most? The Ericsson survey found that half of those currently using virtual assistants think that they’ll soon grasp their emotions. Four in 10 think smartphones will understand them better than their friends do. And twice as many people trust an AI device more than a human to keep their secrets. We name them because we want to trust them. Becoming friends with virtual assistants? That’s the least of it. There’s a report that over a one-year period more than 1 million users asked Alexa to marry them. Maybe for fun, to see how it would answer, but who knows. What are we learning about relationships? How we communicate with virtual assistants could have other impacts on our non-virtual relationships. For instance, might children use these devices to replace their parents as sources of knowledge and advice? 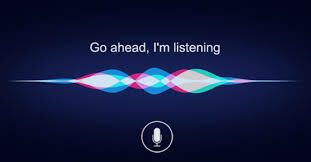 Will we become impatient with people when they don’t give us answers as quickly as Siri? Will speaking rudely to our devices cost us? The Harvard Business Review weighed in, with a piece that urged users not to swear or used raised voices at our machines. “If adaptive bots learn from every meaningful human interaction they have, then mistreatment and abuse become technological toxins,” HBR suggested. Maybe we should focus on stemming actual inappropriate workplace conduct. Just a thought. Regarding tone of voice, some worry that speaking too politely to a piece of technology could be the thing that poses problems. An article in Fast Company noted a manners feature in Alexa (called Magic Word). If children say “please” in a request, Alexa will offer a “thank you”, encouraging polite behaviour. Sounds sort of innocent, but consider the downside. Virtual assistants and various smart devices are amazing innovations. I appreciate them. It’s just that I don’t want to be besties with my thermostat. Or anything else that doesn’t have a beating heart. I’m not anti-technology. I’m not even pro-human all of the time. I just like to remember the difference between the two.